This 5.56x45 ammo is one of the new calibers being rolled out in Hornady's Frontier line of ammunition. Together with Lake City Army Ammunition, Hornady has created military-grade ammunition with their own top shelf bullets for a variety of uses. 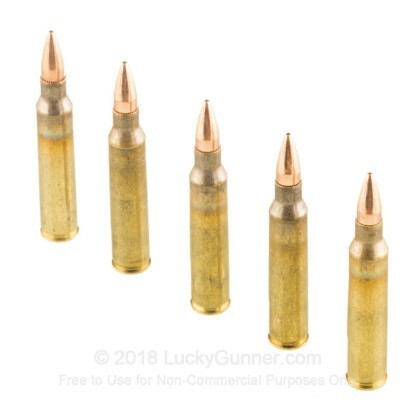 Each round in this case of 500 comes with a new brass casing that is non-corrosive, Boxer-primed, and reloadable. 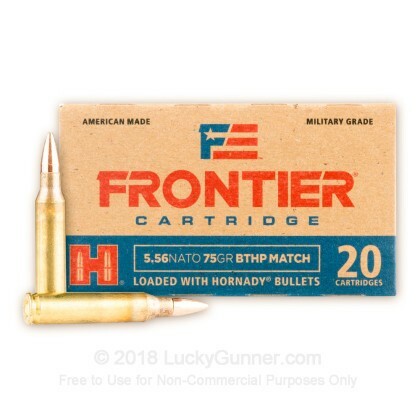 This 5.56x45 cartridge is topped with a 75 grain boat tail hollow-point (BTHP) Match bullet that has been crafted with accuracy-driven components like a swaged core, secant ogive shape, and tapered tail. Hornady's strict quality standards exist to virtually eliminate variation from one cartridge to the next which drives consistency on the range. Since 1949, Hornady has been manufacturing some of the most innovative bullets and ammunition on the market, and this 500-round bulk case is an affordable way to experience that innovation for yourself. 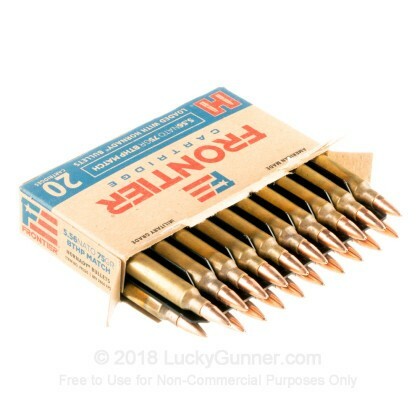 Order your case of this premium 5.56 NATO ammo today! Clean shooting, relatively consistent (3/4 - 1 1/4” moa), overall great value. A: It will function, however the results with it wont be optimal. 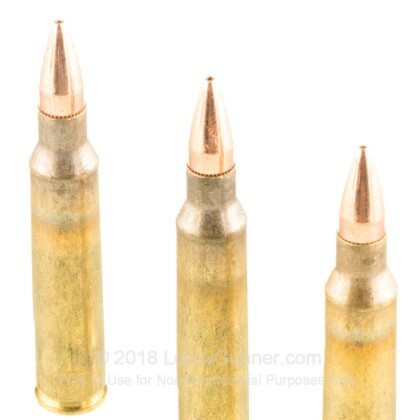 Being as its a boat tail hollow point round its designed for lang range accuracy and not close range defense. The other factor is that the suppressor will quiet it some but it will still be supersonic. 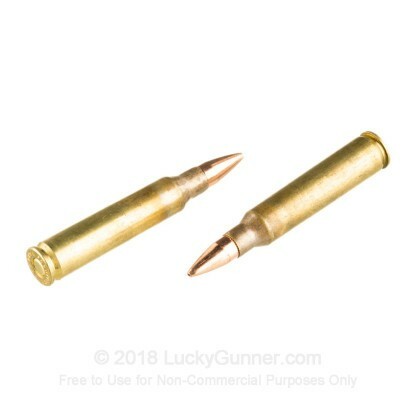 There are very few subsonic loads available for .223 or 5.56x45. 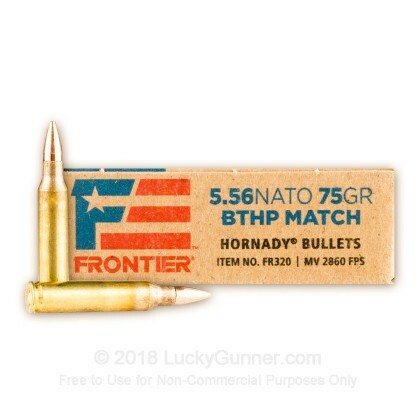 We also have this 5.56x45 - 75 Grain BTHP Match - Hornady Frontier - 20 Rounds ammo in stock in a smaller quantity.